Stats time! This game was definitely short lived. It just can’t compete in a world where Pokemon Go exists. It’s time to look at a recent mobile game. After Pokemon Go came out and completely changed the way we all look at video games, it makes sense that another game would want to try and replicate that success. We had Draconius Go which got a lot of hype during its start but then it quickly faded away. I think that game may have still had a bigger life cycle than this one though. For starters, this game messes up the fact that you’re supposed to play it on the go which is a problem. So, the overworld is just like Pokemon Go. You will see dinosaurs all around so you want to walk around the neighborhood and catch them. Catch all of the Dinosaurs that you can and then take them to the multiplayer place so fight others. So far so good. Adding PVP right away was certainly a shot at Pokemon Go. The gameplay is also more like the handheld Pokemon games which is no coincidence. Where the game messes up is when it comes to catching the Dinosaurs. In Pokemon you just throw a ball which is nice and simple. This is perfect because it’s not too distracting and so you don’t have to worry about bumping into people or just stopping so you can make the catch. You barely even need to look at your phone as you know where to throw. This game is a little different as you have to hit the dinosaurs with a bunch of darts to capture them. The problem is that this takes a little while and the throws have to be precise as the dinosaur runs while you try to catch it. This means that you have to just stop for a bit while this is going on and you have to do that for every single Dino. This wouldn’t be a problem in a traditional app game but for one that you have to play outside it’s just no good. The game also ramps up the corporate feel to it as you have actual advertisements everywhere. The game constantly tries to get you to spend money instead of being subtle like Pokemon. Every time the game wants you to spend money you just think that the game is too desperate to take your money and run. The developers know that this game isn’t going to last so that’s why they want to take your money and then split. It just feels a little underhanded. There is currently no reason to play this over Pokemon Go either. It’s just a far more watered down version of the game. If Pokemon Go didn’t exist then this game would certainly look a lot better, but then it probably wouldn’t even exist anyway. There’s nothing wrong with the game and it’s reasonably fun, but that’s about all that I can say in its defense. The graphics aren’t bad, they’re basically standard issue. Not the worst looking app game that I’ve seen, but nothing to suggest that it is as new as it actually is. There isn’t much of a soundtrack unfortunately. Currently there are 100 Dinosaurs in the game and I caught 9 unique ones. That’s not bad, but it isn’t great. Still, any time spent playing this game is time that I could have put into Pokemon Go instead so I knew that this was enough for me. If you would really rather play this than Pokemon Go then by all means go right ahead. Still, I just can’t see the appeal in this one winning out. I suppose if you really love dinosaurs then that could be enough. Overall, Jurassic World Alive just feels like a total cash grab. There’s nothing subtle about it as the game feels slapped together to earn some money. There is no polish to the game and not a lot of depth either. Still, you can certainly end up playing this game for a long time because I’m suire they will make it very difficult to acquire the 100 Dinosaurs before spending some cash. Just think about whether you want to pay the price or not. This game is fairly new and it covers the plots of the first four films! I recently finished watching all 4 titles so it’s fun to relive the adventures in the Lego format. Each film gets 5 levels to itself, which makes for a solid amount of stages to get through. This is the first Lego game that I’ve played aside from Lego Marvel if I recall correctly and it’s definitely fun to check them out. I do like the little nods and fourth wall breaking that they give the dinosaurs. The first world deals with the first Jurassic Park being unveiled and a few key players have been invited to see if it’s ready to be opened. Their seals of approval are all that the park need, but the T Rex may scare them from doing this! The second world has one of the guys reluctantly come back to the island…the second island anyway to save his friend, but he ends up getting stranded! The third world has the main character of the first film come back to an island filled with dinosaurs for money and has to use his wits to survive. The final world features Jurassic Park. It has finally become an attraction, but a new dinosaur escapes so a master Raptor trainer will have to deal with her! If you’ve seen the films, you’ll understand the plot anyway so I just provided a brief summary in case you didn’t get the chance to view them. 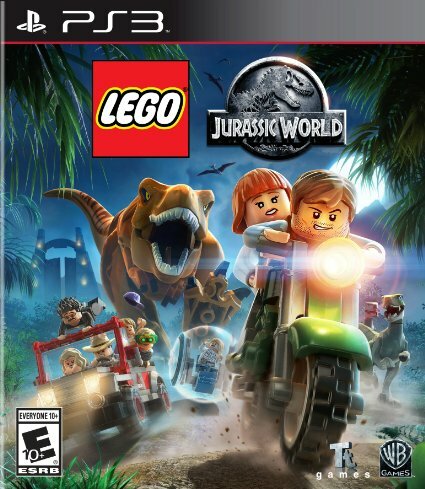 Lego Jurassic World is roughly 7 hours for the main game and getting all of the additional collectibles would likely stretch that to around 20-30. It’s a good length for the game and the average level was around 20-30 minutes although some of the puzzles would make me take a step back and think for a little while. Still, you shouldn’t expect to blast through every puzzle without a few delays so the completion time should still be pretty similar. If you’ve played a Lego game before, then you should be fairly used to the gameplay and format. The gameplay has a bit of an overhead view, but it’s still 3D for the most part and plays out like Ultimate Alliance. You can punch and each character has 2-3 special abilities like crawling through tunnels or climbing a wall. Once in a while, there will be some minions to defeat and you can just smash them to bits with your punches. Quick time events appear for boss battles like the T Rex vs the Spinosaurus. You can never really lose in this game as you will infinitely respawn, but it’s not meant to be difficult anyway. Playing the Lego games is more about the experience and just enjoying the adventures. I found it ironic that this game actually fixes some of my complaints from the film. Namely, the animal violence. The pigs will often escape the Dinosaurs in this version and even offer a little chuckle/snortle when they escape. Instead of eating each other, the Dinosaurs will usually just chase one another and even most of the humans end up surviving. Lego Jurassic World is a comedy adventure so it makes sure to never let things get too serious. I rather enjoy this as I don’t want to see the animals get eaten even if they are made of Legos. Like this, you can really sit back and enjoy the game. 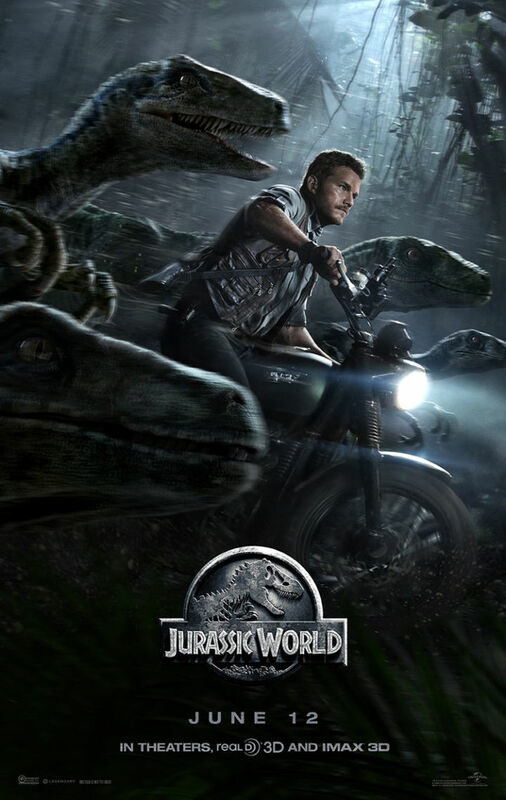 You’ll even see some Dinosaurs jumping on motorcycles and wearing cool sunglasses. It’s very surreal and epic. The graphics are decently good. It’s a Lego game so it’s hard to say that the graphics are actually very good or if they are simply decent. Naturally, I will always prefer more of a traditional art style like Mario Sunshine or Super Smash Bros 64, but the actual Lego figures look fairly bright and colorful so the graphics definitely aren’t bad. They did a good job of recreating the areas and considering that everything is made out of Lego pieces, it’s pretty impressive. The soundtrack is fun as the game tries to remix the main Jurassic Park theme with as many variations as possible. Whenever a Juke Box, Phone, Stereo, TV, or Bicycle bell makes a sound, you’ll typically hear the theme. There must be dozens of variations to find in the game and it was a nice touch. Most of the other themes are likely public domain or from the films, but the classic jingle will is definitely something to keep an eye out for whenever it shows up. The trophies are all doable and fairly simple to achieve. It will take some time as you must go through all of the levels once again and collecting all of the Lego Pieces will be tricky unless you buy some upgrades. It’s a bit of a grind, but it’s actually very satisfying to break all of the objects around you and gather the pieces. It actually doesn’t get tedious at any point so that’s a good thing. Still, it’s a fair Platinum as they should be time consuming and you’ll have fun exploring the islands as you get yours. That’s a good amount of replay value and getting the Platinum will have meant that you’ll have done all of the extra tasks anyway so I don’t need to go into those. Needless to say, there are many characters to unlock and races to complete. I’ll admit that I had been slightly hoping that the T Rex would defeat the Spinosaurus here as an in joke for the fans, but the Spino still pulled ahead. Granted, we got to help the T Rex here as it wouldn’t have even been a close fight otherwise. Maybe the game is actually trying to tell us something here….hmmmmmm. Either way, the T Rex will always be awesome and we can’t forget the Raptors. There’s even a twist ending in this game that I assume leads into Lego Dimensions. That will definitely be a fun title as a bunch of different franchises will be meeting up. My Lego video game collection will likely be growing as I get more of these titles, but at least now I can say that I’ve played the latest Lego game. They’re always guaranteed to be fun as the formula is quite sound. They aren’t too short or too long so they’re just right as a break from the other games that I’m playing like Flip’s Twisted World. Overall, Lego Jurassic World is a fun game. If you like the Lego games, then you’ll definitely enjoy this one. If you haven’t played any before, then this is a nice jumping on point. There are a lot of things to do and you should enjoy it so long as you enjoy Platformers. You’ll be able to really start learning about the Jurassic Park franchise and the humor is well done. Of course, the price is rather high at the moment, but never let that stop you from getting a fun game. I recently saw all three Jurassic Park films so I was all set for this one. To an extent, the premise of the Jurassic Park franchise guarantees that the films will always get low scores thanks to the fact that it revolves around dinosaurs and will have a lot of animal violence. This film is no exception and it’s safe to say that it does lose to Jurassic Park III, but beats the first two films. If you’re a fan of the older films, you should definitely enjoy this one. Claire has helped to put Jurassic Park back onto the map as the new amusement park, Jurassic World. While her boss doesn’t care to much about the financial part of the operations, that’s where she comes in. She had her team create a new dinosaur that was even bigger than the T Rex to increase the wow factor of the park, but ends up underestimating the creature. It escapes so she is forced to call in the resident dinosaur expert, Owen Grady! That’s essentially the plot in a nutshell and while I will be talking about the film a lot, I’ll try to avoid spoilers. I managed to see this film yesterday which was fun since a day 0 viewing is always intense. The audience wasn’t quite as ready to roll as they were in Age of Ultron or the first Avengers, but it’s mostly due to the timeslot. They were still ready for action though and I had my comfortable recliner so I was ready for anything as well. I was cracking up for the first 30-45 minutes. Roughly of course since this isn’t the kind of film where you will be glancing at your watch. It was probably partially intentional by the film, but I mostly didn’t laugh at its jokes, but at the scenes due to being unintentionally funny. One example of a joke where I was laughing (on the inside, I rarely laugh on the outside) was when the parents tease Zach after his heartwarming moment with his friend. It was all in good fun so the parents went a little higher on my coolness chart. They were essentially non factors here though as their screen time was minimal. The kids were fairly awful, but they did help the humor for the film. Another example is when the two kids finally meet up with Claire. She tries to be nice and excited about seeing them only to get one of the more awkward receptions. Zach basically doesn’t want to talk to her at all and Gray’s mood swings of being somber and then super excited don’t wait for anyone. Claire can’t stay so she lets her assistant babysit them. You just gotta feel bad for Claire and I sympathized with her for the whole film. She doesn’t have a lot of free time so it makes sense that she hasn’t seen her nephews in 7 years. It’s regrettable, but these things happen and the kids shouldn’t hold it against her. She’s trying to be a good Aunt, but they never even gave her a chance. Gray may have, but he was disheartened when she couldn’t stay. Let’s quickly talk about the two kids. Zach’s thing is that he believes that he’s really cool. He completely ignores his parents at times and ends up flirting with every single girl that he meets. (Even though he’s taken) Zach’s constantly giving Gray a hard time. “Sometimes we have to grow up!” Those may not have been his exact words, but he gets a lot of the most generic dialogue in the film and he’s also a shining bad example in many situations like when he decides to head to the forbidden zone. He felt like the kind of character that you would see in a commercial warning you not to hang out with people like that. He has his hero moments towards the end with Gray of course and he sees the light, but that would help him in the sequel, not here. He was just terrible. No worries, Gray was awful as well. He’s way too excited and constantly blasts through rides to the dismay of the babysitter. At one point, he starts to whine about where all the dinosaurs are…even though we see that dozens of them are in front of him only about a minute later. There’s no way that he wouldn’t have been able to see them. It reminds me of a critique for the flowers film where someone saw a dead body before they ever could have seen it. Sort of the opposite of this event. Gray really had no consideration for anyone but himself during his visit to the park and while you can sympathize with him since Zach doesn’t want to hang out with him, Gray should have still done a better job of enjoying the park. He’s also pretty emotionless when pointing out a giant dinosaur that is around. Time for a few quick nitpicks. After two characters jump into a lake, we see them walking a few minutes later and they are hardly wet. Their hair is matter and one of the T shirts is soggy, but the characters look way too dry considering the fact that they were completely underwater for a little while. Anyone who has ever jumped into a pool and then walked out will know that you don’t dry out that quickly. There’s also the ball ride where two characters explore the park. Even once an emergency announcement cuts off the presentation and tells everyone to leave…the ball is unaffected. The passenger still has complete control of it and that’s certainly not very safe. If passengers could control these things to go wherever they wanted, people would constantly be crashing into dinosaurs. I did also chuckle at the fact that one guy’s whole job was making sure that all of the balls were safe during the crisis. He tells everyone that they’re all safe until he actually looks at the screen and realizes that one is gone. Whoops….that didn’t look too good for the guy. I liked his Dinosaur collection and admired the fact that he always talked a good game, but he was out of his league and he also tried flirting towards the end. Luckily, it wound up being the ultimate friend zone moment and I thought that it was handled rather well. We need more friend zone moments to be honest as they would make just about every film better. The actual park is definitely somewhere that you would want to go and it looks kind of like Epcot. They have big water rides and a petting zoo section as well. You could say that it’s a fusion of your local zoo with one of the big amusement parks. It’s hard to believe that people would get bored of such a place even though the wow factor was apparently leaving. How I see it, Zoos have remained relevant for decades, a Dinosaur park would at least last 20 years without any big decline in viewership. That being said, Claire may have been overreacting as the numbers still seemed to be quite good when she was mentioning the statistics. Let’s take this time to quickly talk about Owen and Claire. I haven’t really mentioned Owen up til now, but he did have some solid scenes. I did enjoy his interactions with the Raptors and I like how it was handled. He was their partner, not their boss although he thought of himself as an Alpha. Owen’s essentially your average action hero who has his good moments and his iffy ones. His flirting and dicey remarks keep him from being a good character, but he’s still decent for the most part. It’s easy to root for him at any rate and he certainly knows what he’s doing. He’s another guy who never bows to authority and talks when he feels like it. Imagine if everyone in real life were so bold right? I think the world would be topsy turvy before long. Claire is a good main heroine for the film and she was actually one of my favorite characters. She didn’t want to have kids which is a noble goal and she has spent her career moving up in the ranks until she became one of the higher ups at the biggest amusement park in the world. That’s no small feat to say the least. Towards the end of the film, she has a bit of a generic ending where you can probably guess that she decides to back away from one part of her logic, but she was still a good character through and through. I thought that she did a decent job watching the kids. Sure, she left that to the assistant, but she gave them VIP passes and they got to have a blast. It’s not like she could take a day off when the big bosses were in town and awaiting her sales pitch after all. I also can’t really imagine her getting on some of the rides and having a blast like the kids. Actually, one of the rides was only built for 2 anyway. The assistant was actually fairly likable and I originally thought that she was going to be one of the main characters. The actress looked like the main one from Twilight so I thought that I may have just been out of the loop there, but considering her minimal role, I’m going to assume that it was someone else. She definitely didn’t care to be there, but she’s probably seen and been on all of the rides many times over at this point. Still, her facade was good enough to fool the kids I’d say, but they were intent on giving her a tough time right from the start. Her character path goes down a dicey road and I felt bad for the whole time. It just wasn’t her day. The higher up in charge of the park was decently charismatic. The film was going for a Tony Stark kind of feel for the guy and it worked to an extent. He started to look a little iffy towards the end though, but at least he cared about the dinosaurs a little. As always, there is a human antagonist to liven things up and he is similar to the guy from the first film. He talks tough to everyone and he has his own plans in mind. He gave the film another jolt of humor and I liked him as one of the big bads. This guy certainly wasn’t playing around. Time to talk about the mystery dino. If you’re seen the trailers, then you know that there is a new Dinosaur hybrid attacking everyone. While she is a little smaller than I had expected, she still packs a punch and makes for a great threat. There are few dinos who can hope to match up to this fighter and she is also very smart. The fact that this dinosaur has been created in a lab gave the writers a little freedom to add some new techniques so this dinosaur doesn’t just need to rely on physical strength. It has two defensive skills, which greatly increase how deadly it can be in a fight. This dinosaur was definitely one of the highlights. The classics like the T Rex and the Raptor are also present of course and I still love both dinosaurs. Once you see this film, you’ll be reminded why the T Rex is so awesome and how merciless the Raptors can be. It would have been fun to have seen the Spinosaurus enter the fray, but maybe next time. The Raptors get a fairly large role and are integral to the plot. They are still my favorite Dinosaurs out there and I don’t expect that to change anytime soon. They just look so happy and cuddly next to all of the others. As you might expect, there is a big climactic fight towards the end of the film and it’s quite impressive. It was a fight that I actually called out as I walked into the theater and I was thrilled to see it play out. The fighters gave it their all and we see some nice teamwork as well. The fight isn’t that short either and gives the dinosaurs enough time to really show what they are made of. It’s easily the best fight scene that we’ve gotten in the Jurassic Park franchise and it’s hard to picture this one being topped. There are some plot elements left around to get you ready for the inevitable sequel. Let’s just say that the next film could have dog sized super dinosaurs running around and it’ll make for a pretty epic clash. Alternately, it could have a plot similar to the original King Kong. Either way, the sequel should be fun and I wonder if the main characters would return or if it would be time for a new cast. I would like these characters to return, but I’m open to change so that we wouldn’t have to see the kids return. Now, this review sounds decently positive so you may expect something like a 7? A 7 is what the film would have gotten if not for the main negative, but it is something that it almost literally impossible for the Jurassic Park franchise to get away from. That is…animal violence. It’s a dinosaur eat dinosaur world out there so it’s expected and I’m not surprised at the fact that dinosaurs are getting hurt all over the place. It simply makes sense even if it is regrettable. So, while I enjoyed the film as a whole, I’ve still got to cripple the final rating due to how many times an animal is injured and how prevalent this is in the film. One scene is really just there so that the mini army can get some hype as a gun man casually shoots one of the Pterodactyls. That was just unnecessary and a lot of the other animal scenes aren’t much better. We see dinosaurs blown up, eaten, and effectively drowned. If you’re a dinosaur in this film, then you’re in a whole lot of trouble. A lot of the hurt also comes to my good ole Raptors, which is unfortunate, but probably a price of being one of the main characters. I could go on and on, but you get the drift and it occurs too often to be overlooked so you should prepare for a fairly low score on this one. Still, it was more fun than the first three Jurassic Park films and certainly seemed to have more fun with itself as well. I’m glad that the Park finally got to open and the film was certainly able to make it look much more authentic than it could have with older effects. This is one of those times where the fact that it’s modern and has some good effects, really helps it. To an extent, I feel like new technology will always help films to have an edge over older ones. The older ones typically hold their own through the better writing, but when you have a good modern film against a good old one, the modern one certainly has that extra edge. 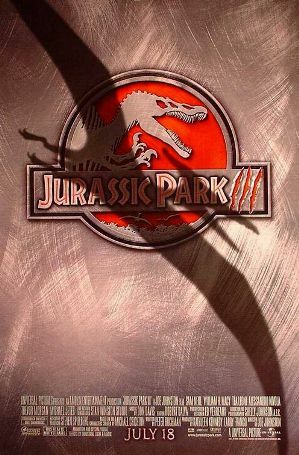 Jurassic Park III still wins overall, but the tone and pacing of this film can’t be beat. World feels like a classic Summer Blockbuster. Hmmm, have I touched on everything? I managed to stay pretty vague on all spoiler related areas and that also slightly limits what I can discuss in the review. The first half was really funny and made this the funniest film in the series and the ending also had the best action scene from all 4 so it was a nice balance. Any scene with the Raptors is typically a good scene as well. As for the soundtrack, you’ll certainly recognize the classic theme from the first film as well as the trailer theme, which plays during one of the scenes. The soundtrack may be a tad generic at points, but the main theme is still iconic and you probably won’t be forgetting it anytime soon. As long as you have one memorable scene, that’s more than most films have got. While the animal violence is really the only big negative, there are some mild ones as well since this still wouldn’t be a perfect film if the violence was gone. (Although it would be a good-very good one) The kids naturally weren’t good characters, but the rest of the cast helped to nullify them. The writing isn’t great although this is mainly due to Owen and Zach’s characters as the rest are typically fine. There is one scene that will puzzle you a little bit as two security guards seem to have no idea that the Park is in trouble even though the alarms had already gone through a good half hour ago. It struck me as a little odd and random. That’s about it so the film was mostly solid. At around 2 hours, it was a good run time, which gave the film enough time to develop the characters and showcase the dinosaurs. 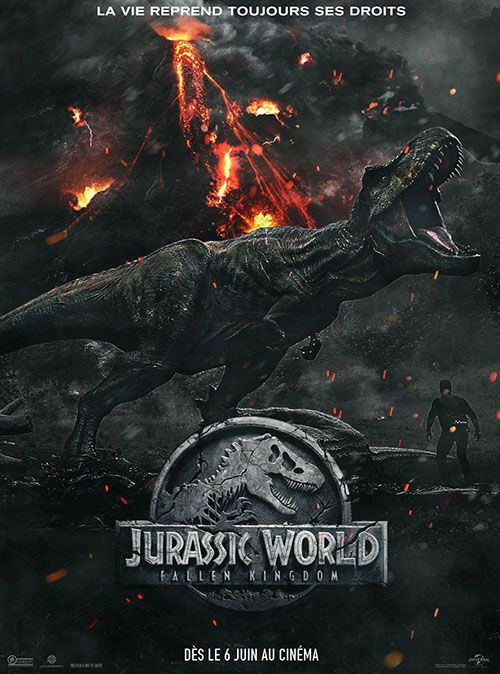 While Jurassic World is mainly a popcorn film with a lot of epic action and enjoyable moments, it can actually get pretty somber and sad at other moments. One of those moments is the Dinosaur graveyard, which is definitely tragic and one of the more emotional moments of the film. One moment that is supposed to be emotional is when we learn of a divorce, but it has no point in the film and its thrown out so randomly that you probably won’t feel any emotion other than a casual wince. Of course, if you like to have fun with films, then that may be a good thing as I was having fun grinning and wincing for some of the dialogue, but in a good way. On the whole, Jurassic World is still a fairly upbeat film that stays happy for most of its run time as it only gets sad once in a while. The Pterodactyl attack scene will just get thrown in with the rest of the animal violence issue, but I wonder how some critics will take it. I read a critique of Jurassic Park III that Pterodactyls shouldn’t be strong enough to lift a grown man. Let’s just say that they lift quite a few people during the attack in this one. Is the science/films right or are the real life keyboard warriors correct on this one? I don’t know myself, but it seems perfectly feasible that Pterodactyle could lift humans up since animals are typically so tough. I’m no dinosaur expert though and am happy just being a casual moviegoer. Overall, I’m definitely glad that I saw this one. 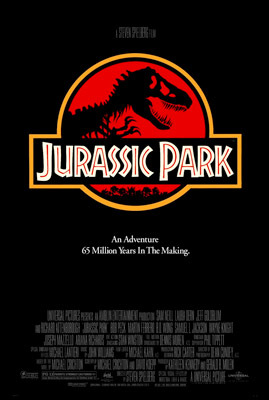 If you liked the first three Jurassic Park films, then you should definitely like this one a lot. 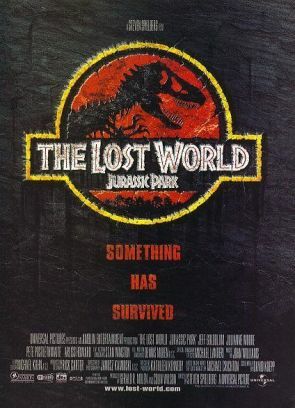 At the most, you may not like the fact that it’s much more of an action film than the first Jurassic Park, which was a survival film, but it’s still about dinosaurs and it’s still a good film so I believe that you would end up enjoying it. The animal violence is regrettable and it’s something that likely won’t leave the series until they bring in the mecha dinosaurs and I’m ready for that to enter the picture soon. Well, next stop should be good ole Terminator and it’ll be fun to see how that holds up. The Dinosaurs are back and my revisit to the original trilogy is now complete. Just in time for the upcoming Jurassic World right? So far, each film has gotten better for me as the series went on so that could be a good thing for the newest film. It certainly looks more upbeat than the last three, but there’s clearly still going to be animal violence. Also, Raptors work for no one! Back on topic, let’s look at what Jurassic Park III did right. Alan has vowed that he would never go back to Jurassic Park. The island is too deadly and he doesn’t even like dinosaurs anymore. The experience changed him and now he’s back to working with fossils. That’s when a rich couple appear and offer Alan a large sum of money and a contribution if he would be their guide on a trip to Jurassic Park. They wouldn’t actually go onto the island of course, but just a flight above it through the rich guy’s connections. Alan reluctantly agrees because he wants the money (Deja Vu from the first film eh?) but soon realizes that he has been tricked. These people are not rich and they are actually looking for their son. He was lost in the island weeks ago and they aim to get him off of the island in one piece. Their plane is quickly taken down though so the heroes will have to try and survive in this habitat. Is the kid still alive (This is a summer blockbuster right?) and can the heroes find a way to leave? The stakes have never been this high or the situation so personal. This film is definitely much different from the second film. While the second title was the most violent and had the cast dying off left and right, this one is more of a survival mission. Naturally, you should expect that most of the expendables won’t be making it far, but there aren’t nearly as many deaths and the dinosaurs aren’t overpowered by humans this time. That was certainly not very fun to see and dinosaurs should always have the upper hand. Isn’t that the whole point on why you’re watching as film with dinosaurs? Now, there still is some animal violence so it’s not all gone. The T Rex vs Spinosaurus fight is very epic, but also a little brutal as both creatures go for neck blows so that they can win the fight in a single blow. This was a point of outrage for many people and I have to agree that the T Rex should have won. He came out swinging and bit the Spinosaurus’s neck first. I don’t think that there is any way that the Spinosaurus should have gotten out of that. Once a T Rex bites your neck, it’s game over. There’s not a single creature that can escape. Of course, the Spino did escape and quickly beat the T Rex, but that was definitely not cool. I simply can’t believe that something like this could happen. As for the characters, Alan is a good lead. The friend zone twist between him and the heroine from the first film was definitely unexpected, but appreciated. After such a dangerous situation in Jurassic Park, I could see why he would want to be by his lonesome and just read books all day. He has now seen some of the scariest sights on Earth and he just wants to enjoy some calm years for now. Of course, he is unable to resist the allure of money, which traps him once again. While he may not care for dinosaurs all that much anymore, he is still knowledgeable about them and the group wouldn’t have lasted long without him. The rich couple has had some issues over the years and they don’t always get along, but their search for their missing son starts to bring them back together. They did a good job of conning Alan and they did come pretty well prepared with their gunmen and bull horns. They certainly aren’t well versed in the ways of the dinosaur, but they mean well and were decently good characters for the most part. The one that I didn’t really care for was Alan’s apprentice. The student, Billy, really crossed the line when he decided to steal an egg. There is a living dinosaur in that egg so he was essentially kidnapping one of them for money. Definitely not an okay move and that’s where I definitely didn’t like the character. His personality was decent and he was definitely not afraid of taking risks, but it was still a bad call. The missing son who essentially becomes Tarzan was better than he could have been, but I still find it hard to believe that he lasted 5 weeks in Jurassic Park. There’s really no way that this could have happened and his hideout was decently secure, but not enough so that it could protect him from dinosaurs. He’d be T Rex chow in no time. The film tried to show that he was super experienced, but it’s hard to swallow. I also don’t get how his partner died on the parachute. Did he really just stay there until he died of hunger or was he attacked and the dinosaurs just left his bones so neatly? Either way, the death really did not make any sense in the way that it happened. The film’s sense of timing is not that good at times. After a character just seemingly died, the heroes get ready to leave the island and board a raft. That’s when the film’s happy theme plays and the heroes look at the dinosaurs. They quickly note that the dinosaurs are amazing and start to see how great the island is. You’ll wince and quickly realize how inconsiderate the heroes can be. They just had a man down and yet they can enjoy the view now? That was just horribly misplaced. The Raptors were fun to see as always. They’re still the best dinosaurs of all time and by far. This film gives them a lot of credit for their intelligence and we get to see the Raptors make plans and really terrorize the humans. In the end, the Raptors spare the main characters as the heroes would have certainly been finished otherwise. The Raptors definitely deserve the praise and there is a reason why they have gotten a good role in all four films. They are simply that good. The Spinosaurus is also a fun dinosaur to watch. His snout is definitely iconic and he does look like a powerful dinosaur. While I would take the T Rex in a fight, the Spino is certainly a cool dinosaur and all of his scenes were a lot of fun. When the heroes first mention that he is bigger than the T Rex, you knew that we were going to be in for quite the fight. I can’t say much for the soundtrack as it just reuses the main theme from the other two films and it’s hard to think of many other pieces of music. I suppose that it was decent, but the classic theme really wasn’t necessary at all in this title. The scene could have just been kept out. Most of the movie is really just about the heroes trying to escape from the dinosaurs. I like a good chase scene although the island is still not my ideal setting. The film never really drags on, which is good. Overall, Jurassic Park III was certainly the best of the Jurassic Park films. It worked on some of the issues from the first two films like the animal violence and the normal violence in general. There are still some moments that fall into these holes like watching a T Rex snack on another animal, but at least they are few and far between. You can still see that the film did improve on these areas. It’s still not my kind of film and there are enough scenes to keep me from giving it a positive rating. If you liked the first two films, then you should like this one. I wouldn’t recommend it myself and if you don’t like animal violence then you should skip it as well. I will definitely be checking out the new one though so it’ll be interesting to see how good that one is. At least the Raptors are large and in charge once again, which is always good. It is time to look at the sequel to Jurassic Park! It’s no secret that I wasn’t a fan of the first one and I was hoping that this title would be an improvement. The sequel was certainly better than the first one, but I can’t say that it was a significant difference either. It falls into the animal violence issue as expected and the characters are not quite as cool as they could have been. Third time’s the charm, or so they say, but let’s take a deeper look at this film. Ian has tried to forget about the Jurassic Park incident, but that proves to be impossible very quickly. Everyone knows that he has been there and he can’t find any peace. While he was paid a decent sum of money to stay quiet about what happened, his reputation is still in ruin. Making matters worse is the fact that his girlfriend decided to venture off to a dinosaur island on her own. John Hammond effectively used her as bait since he knows that Ian will have to go after her. Ian leads a small strike squad there, but a bigger group is also on the island to enslave the dinosaurs. It will be a race against time and money as Ian tries to get everyone back home in one peace. For starters, let’s look at what the film did wrong so that we can end the review off with some positives. First of all, the animal violence is certainly back. A dog is eaten in one of the final scenes of the film and it’s the kind of moment that makes you want to go and get a hoagie from 711 to help douse the pain. There’s no point for this scene to be there and it’s just animal violence for the sake of violence. It’s not cool and it wrecked any chance that the film had of actually being decent. Without this scene, I think that a 4 may have sufficed although I suppose that it still could have gotten a 3. Another point against the film is the fact that the humans start to enslave them all. I came to watch Dinosaurs be the kings, not to watch them get defeated by the humans. I never like to watch the humans fight these creatures because the humans will always win and it is sad to watch the dinosaurs be defeated. One of them fractures his foot and other dinosaurs are quickly thrown into captivity. I could have done without that plot altogether and the film would have been better off without them. This film also decided that the first one wasn’t edgy enough as this becomes a pseudo slasher at one point. You will possibly be surprised at just how violent the title can get as blood runs rampant here. It’s an unnecessary change and we didn’t come to Jurassic Park to watch a slasher film. Another scene that’s just painful to watch is the one where the mini raptors attack the villain. He’s a villain who is used for animal violence so the film has him brutally murdered, but it’s just not a good cycle. Essentially, we’re supposed to feel good since the bad character was killed off for doing something mean, but instead we’re just given two bad scenes that hurt the film even more. If we didn’t get the scene of the human antagonizing the dinosaurs, then we wouldn’t have needed the scene where he dies so violently. It’s a case of bad character development. As you can see, the film was in pretty hot water throughout and it couldn’t recover. A raptor is even stabbed as it falls to help a “hero” moment turn into a fail. Now, let’s gather our bearings and look at what the film did right. Well, I actually like Ian as the main character. I think that he was more impressive in the first film and his dialogue was certainly a lot better, but he can hold his own film. He’s always ready and Ian warned the people that this was a bad idea from the start. You really can’t blame him for what happens and he actually gets the short end of the stick when you consider his reputation. Ian’s daughter is less likable. She’s an improvement from the kids in the last film, but she still panics and holds the team back at times. If she had not told Ian to take her up to the trees where they would be a bigger target, Ian could have potentially stopped the falling tractor scene from ever taking place. Making a fire in a dinosaur land is also not a great move and she made a pretty big mess in the portable home. She means well, but this is why kids should not be main or supporting characters in most films. The final big character is Sarah, but I can’t say that I was very impressed with her either. She left Ian without saying anything, which I found to be very irresponsible. She also acts as if Ian is not around because she takes many big risks when she doesn’t need too. Petting a dinosaur and messing with a cub is practically asking to be eaten. I don’t see how she would have survived the adventure and I couldn’t take her side in the disagreements. She placed everyone in danger by coming to the island and she’s not remorseful in the slightest. Ian’s got his faults as well of course, but at least he only puts himself in danger. As this is the sequel, Lost World certainly feels a lot lower budget than the first film. The soundtrack and effects are not nearly as good as the first film and this one could have easily been a straight to DVD film. It definitely doesn’t have that theatrical feel that the first one had. You can say that for many theater films so it’s not unique to this title, but you could never say that the first film did not feel theatrical without grabbing some Air Head candies to keep you from making a straight face. The slasher elements and constant 3D (In your face) techniques also keep it from feeling quite as grand and real. I’m still not a 3D fan and I probably won’t be for another 40-60 years, when we will have finally learned how to make true 3D. Some parts of the film do test your imagination a little bit like the actual premise. I don’t believe that the government would not have made a move at this point. People died in the Dinosaur adventures so they would not allow dinosaurs to quickly be brought into the cities and zoos. That’s simply not going to happen and with the amount of red tape that we have in the US, it would be years before any real traction would be made at that front. At most, They’d just let people visit the dinosaur land at their own peril, but there would likely be a huge fee and I could see them just keeping the island as a testing facility. The Raptors still remind me of good ole Yoshi whenever they appear. They are my favorite dinosaurs although the good ole T Rex is in second. The Raptors mean business and there are not many animals who can defeat them while the Raptors are in a group. The climax may have had the dog scene, but I liked it a lot otherwise. It’s played out like a Kaiju film as everyone is running away from the Dino and many yells can be heard. The stakes have simply never been this high before and it was a decent reaction of how people would respond to such a creature. I think that some people wouldn’t be frightened as there are people of all sorts of personalities, but having everyone run away does make for more enjoyable scenes of terror. Overall, The Lost World is a decent follow up to the second one. It greatly reduces the animal violence, which is certainly a good thing although it is weaker than the first film in all technical aspects. It simply doesn’t command your attention the same way that the first did although you will still be interested in seeing what happens anyway. The landscapes simply aren’t as interesting, but there is less mud and gross scenes, which is great. If you liked the first film, then you’ll like this one. Otherwise, you should skip this one and just wait until a really good dinosaur film arrives on your TV. Jurassic World is almost upon us and I shall certainly be checking it out. That being said, I’ve never been a huge fan of Jurassic Park. Come at me! Now, I do like the concept behind it and who doesn’t like to see a good T Rex? The main problem is that a film like this one tends to have quite a few animal violence scenes and this film was no exception. I have a bad feeling that Jurassic World will be using this as well so it may go the route of most animal films. That being said, let’s see just how it fared. John is rich and decides that he wants to open a theme park where people can meet dinosaurs. That would be pretty epic for the whole world, but an accident happens and a member of the staff dies. The only way that he can open the park now is if he can get a pair of signatures from top line professionals to agree that the park is a good idea. That’s where Alan, along with his partner Allie, and Ian step in. These guys are skeptical about the operation and then the power goes out. The dinosaurs are free and they are ready to eat everyone all around the world. Still, they shall have to start with Jurassic Park! Have you ever been face to face with a T Rex? I haven’t, but I’ve been face to face with my pet dog, Sonic, and I’m sure that it is a similar experience of terror and wonder. Ignoring that this is a film for a second, I don’t think that this park would ever be able to exist. People simply wouldn’t allow it too with all of the various protest groups that are around. Even if Jurassic Park was created, it would “leak” all over the world way before it actually opened. It would be hard to hide them even with an elaborate helicopter ride. I’m not an outdoors guy so I wouldn’t check out the park, but I’m sure that it would certainly earn quite a bit of money. That was a bit of a detour so let’s go back to talking about the film. Many comparisons can be made to Attack on Titan. Jurassic Park really feels professional. The soundtrack is solid and makes the film feel theatrical. The characters quickly gain a lot of personality and it is a fairly exciting experience. Pretending that the animal violence was not present, I’d say that the film was a blast and a half all the way until the car scene where Alan goes to help the kids. That’s where the film quickly started to go downhill. It may not come as a surprise to you if you’ve read a lot of my reviews, but I don’t tend to care for “kid” characters. If a character is around 13 or younger, then they’re probably going to be very unlikable. That doesn’t change here as I don’t like either of the two kids who join the adventure. They just slow the main character down and result in a subplot that is fairly boring the whole time. The guy risks all of their lives by clinging to an electrified net and the girl breaks down during their stressful adventure. The sneezing scene with the dinosaur was also very gross and one of the kids threw up at one point. The film is very messy to the point where I would call it crude humor. You could also just say that the film is being way too realistic. The heroes get muddied and we are very far away from civilization. That doesn’t make for a good mix and it’s the primary reason why I want all films to take place in New York. Now, that’s the kind of backdrop that can make a film more exciting. In the jungle, it’s just not the same. It’s why the film lost a lot of its excitement and replayability once the heroes were all stranded among the trees. Given the nature of the film, I’m not even going to talk about the plot hax. Just know that there is a lot of it, but you were likely expecting that when you walked into the film. Back to the positives for the film. The dinosaurs certainly look life like and I like the Raptor’s design. They remind me of Yoshi and I’ve always liked the Raptors. Those guys knew when it was time to win and when it was time to hunt. The T Rex is also a classic and it’s hard to picture him losing to a Spinosaurus. This guy was just invincible in this film. Alan made for a likable main character even if he was a little overly rude to the kids at some points. I’m not a kid guy myself, but you have to at least put on a bluff face or whip out a Nintendo 3DS to save face. Alan knew his stuff though and didn’t change his mind about the park being safe towards the middle like I was expecting. Ellie is his partner and she isn’t afraid to get her hands dirty as she gets to the bottom of the dinosaurs being ill situation. She is also prepared to go into the battlefield when necessary as she proves to be critical in turning the power back on. She’s a strong heroine and made for a good supporting character. Ian is a solid rival for Alan aside from the flirting at the beginning of the film. He sees the big picture that the other characters do not and he is the first guy to realize that Jurassic Park is not going to work. He’s certainly the cleverest character of the bunch and someone that you can root for. Things don’t end too well for him during his big fight with the T Rex, but it’s hard to picture anyone lasting long against that monster. He’s certainly an improvement over the average “rival” in this kind of film. John is the rich guy in charge of Jurassic Park and he seems like a likable fellow. He uses his old age to his advantage to try to get the others to not want to vote against him, but the main characters are professionals so they make the tough calls. He got some good ice cream and he really did a good job on the park. While he made the wrong decision in continuing on with his adventure, he did mean well and was a nice person. The only guy that he didn’t get along with was the tech man who ended up betraying the team. It’s too bad that the guy was a villain since he had been one of the more humorous characters. He’s the kind of guy in real life who has nerves of steel. You can imagine him snapping at the President or insulting a would be kidnapper. This guy was always ready to make his case and nothing could make him back off. His end isn’t pleasant and will remind you of how tough the dinosaurs can be. That being said, the film isn’t overly violent although still more than you would expect from a 90’s blockbuster. The main thing that cripples the film is the large amounts of animal violence. It gets so bad that I couldn’t even come close to saying that this is a good film. We see an animal part get thrown onto the car and several animals are eaten alive. It’s barbaric and reminds me why John is more cruel than he appears to be on the surface. Condoning such behavior is simply not right. Other dinosaurs are also eaten and the film really broke down when it counted. If it was just one or two scenes it may have been okay, but by the end, I knew that the film had been defeated. You can have the best soundtrack, the most likable characters, and the best graphics that money can buy, but if you step into a big enough hole, the film is going to lose regardless of all the precautions that you could have taken. That’s what happened here and I fear that it will happen in the other three films as well. Hopefully it will be safe, but you shouldn’t count on it. I do fully expect at least one of the other three films to beat this one though, maybe all of them. We’ll see I suppose. Overall, I’ve seen this film at least twice by now and other clips of it I’ve seen on numerous occasions. The kids really throw you out of the film along with the animal violence. It’s a classic that really has not aged well and the movie just isn’t my type. It certainly wouldn’t pique my interest aside from the fact that I do technically like creature films a lot. It’s like me and alien films, I like aliens even though their films tend to get really low scores. The holes are regrettable and stop me from giving it a good score, but the films are still fairly fun while in the moment. You are just thrown a curve ball every 10-15 minutes. If you are okay with the animal violence and kids getting in the main character’s way, you should enjoy this film. Otherwise, I recommend watching a classic film like the Bee movie if you want a film that is more about animals than humans. Now, I’m ready for the T Rex to continue to conquer all of the foes who stand in his way!